In a former farm building. 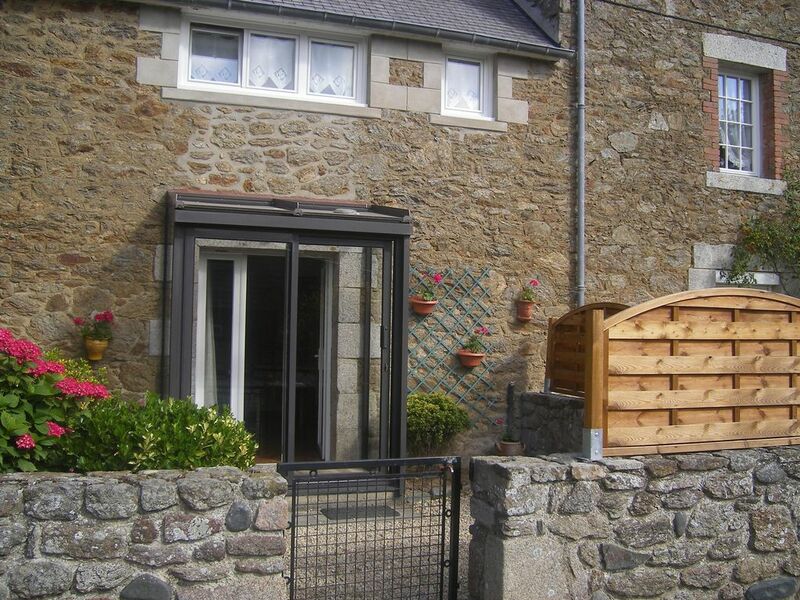 This charming renovated house, terraced in a farmhouse, quiet, you will spend a pleasant holiday at the sea and countryside. Located 500 meters from the center and the beach, in a quiet location, you will enjoy the sun at noon to dine in the small courtyard, sheltered south facing. By late afternoon, side kitchen can also enjoy the sun. A quiet path along the river and its wash, then the pond will take you to the main beach of fine sand. Another beautiful beach located west of Saint-Lunaire will also delight you. Numerous strolls sea side and countryside side. Saint-Lunaire has the "Blue Flag" label. The location is great - quiet but close to the town centre and sea. The property would have benfitted from more comfortable furniture. There is only one small sofa for a 4 person gite. 14 km from Saint-Malo and its ramparts, 4 km from Dinard; MONT-SAINT-MICHEL is 60 km, Cape FREHEL 38 km. First commercial area 4 km towards Saint Malo. Un acompte de 25 % est demandé à la signature du contrat de location. Pour week-end hors saison ou dates non indiquées, me contacter. Une caution de 500€ est demandé à l'arrivé, la propriétaire pourra s'octroyer un délai de 10 jours pour la restitution de celle-ci.